Executing a will takes a lot of time and forethought to ensure the document reflects what the creator wants and is legally effective. Given this commitment, avoiding the potential that a will may be invalidated is crucial. Not only would an invalidation completely wipe out the careful arrangements the creator set in place for the distribution of his/her property, it would also take away the certainty a will gives to a family, and likely lead to complicated litigation that could last years. Because of the ambiguity invalidating a will creates for the surviving family members, courts will go to great lengths to avoid nullifying a will if at all possible. This tendency is seen in a recent court of appeals decision that held the provisions of a woman’s prior will could be revived and enforced after the most recent version was invalidated based on the undue influence of one of the named beneficiaries. Reviving the will in this situation was permissible because the previous versions were substantially similar in content and only differed by the amount left to each person. Those wishing to draft a will should have an awareness of the circumstances that could provoke a court to invalidate a will so they can be avoided. The will was not properly executed. For example, it lacked the signatures of two witnesses, the creator was less than 18 years old, or the will was unwritten. The creator did not have the testamentary capacity to execute the document. Florida law requires anyone executing a will to have the capability to understand his/her actions when the will is signed. This means the creator must understand the kinds of property he/she owns, those who would be the natural heirs, and the effect of a will. Note that testamentary capacity is presumed, and the person challenging the will must show the creator was not lucid when he/she signed the will. Undue influence. This claim occurs when someone alleges a beneficiary named in the will exerted so much pressure on the person writing it the document does not reflect the creator’s wishes. The person accused of undue influence must be a significant beneficiary under the will, had a confidential relationship with the will’s creator, and was actively involved in the will’s creation and execution. Fraud can occur in the execution of the will when the creator is led to believe the document was something other than a will, or in the context of when the creator is intentionally misled about a material fact that affects how he/she decided to divide the property. Duress, which takes place when the creator is physically threatened or coerced into making a will. What Happens to a Person’s Estate after Invalidation? If a person’s will is invalidated, and no other valid estate planning documents exist, the person’s property is divided under a legal system termed intestacy. Dying intestate means one’s property is taken by the heirs according to how close in blood relation a person is to the deceased. In this process, the deceased has no control over who gets what, and disputes often arise that can tear a family apart. 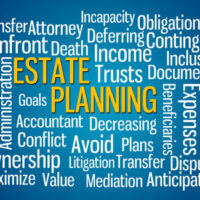 Developing an estate plan is a much better way to dispose of property after death. If you need to create an estate plan, or update an existing one, talk to an experienced estate planning attorney to ensure your estate plan can do what you want and complies with current law. The Tampa law firm of Bubley & Bubley, P.A. can walk you through the estate plan that is right for you. Contact us for a free consultation.